Presently under construction in Songjiang District of Shanghai, Songjiang Hotel will become one of China’s most sustainable and eco-friendly luxury hotels. Presently under construction in Songjiang District of Shanghai, Songjiang Hotel or Shimao Wonderland Intercontinental is a uniquely designed luxury and sports leisure hotel by the UK architecture firm Atkins. 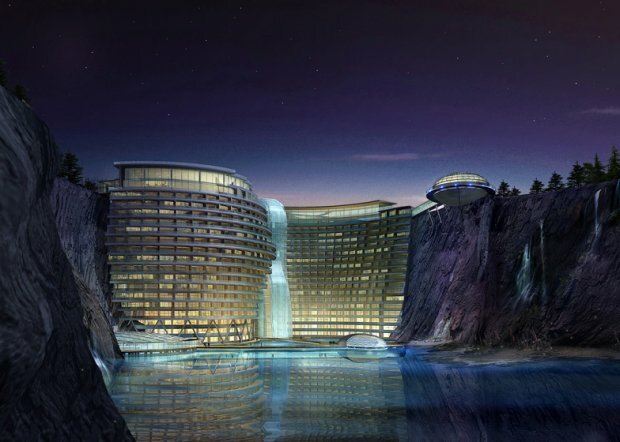 Nestled on an abandoned quarry near the base of Tianmashan Mountain, this one-of-a-kind hotel will feature an eye-catching waterfall that will pour down from the roof of the hotel complex. 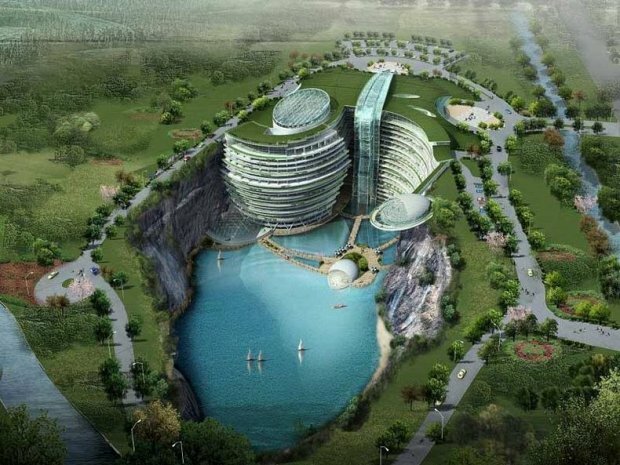 Part of the hotel’s body will be built into the cave and two floors will be submerged underwater. The hotel will also feature an extreme-sports facility that will offer rock climbing and bungee jumping activities. Songjiang Hotel does not only boast its avant-garde facilities, it is also proud of its sustainability features such as the green roof, geothermal and solar energy to generate its own lighting and electricity. Expected to be completed early in 2015, Songjiang Hotel will become one of China’s most sustainable and eco-friendly luxury hotels. 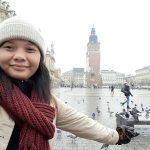 Meanwhile, you may check out other attractions in Shanghai with TripZilla Travel Packages to Shanghai.